Super Analyzer is a nifty little Java app that will parse the contents of your iTunes library and then spit out statistics like song plays by album release year, library growth over time, most played artists and albums, and how often you play each album compared to the rating of the album. 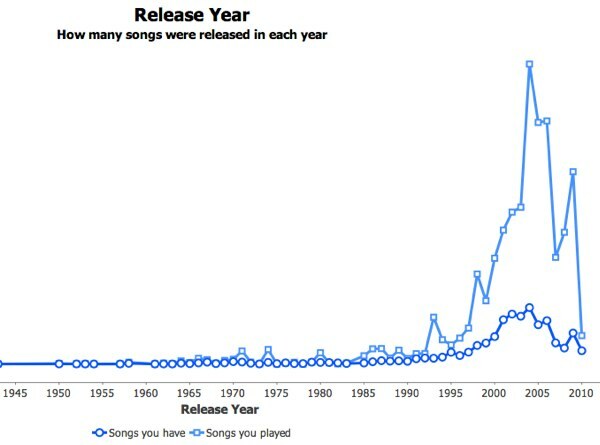 Furthermore, for each metric, you can break down the results by decade, genre, album and artist. For me, it’s all about the 2000’s.